This weekend was a busy one around the mountain lake resort of Fawnskin. The town hall meeting at Fire Station 96 was a bustling as the smell of donuts lured the unsuspecting locals into the meeting where they were told of the impending rate hikes from some of the local utility services–it was as if the sweetness of the tasty treats were there to soften the sour news. Of course, GG did not attend as I was busy delivering pie to the neighbors. Which was interesting because all those neighbors did not attend the meeting either. 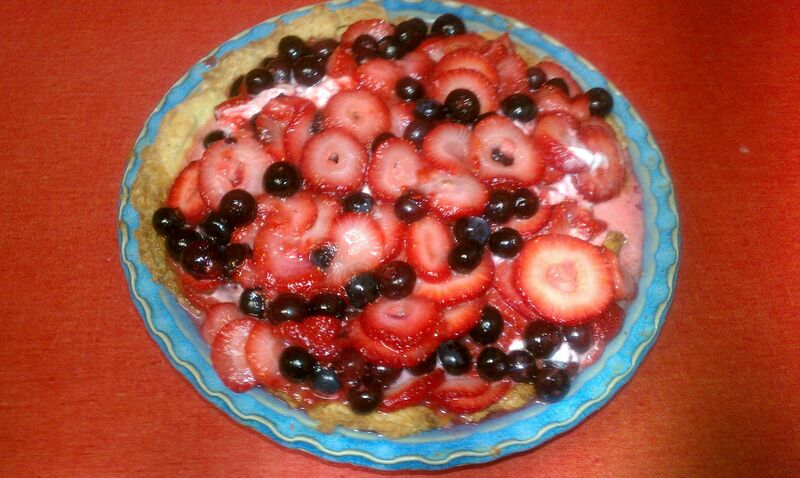 Now you might find it a bit odd, but GG likes to create things of all types and, truth be told, I had extra ingredients leftover from the luncheon. These pies tend to be a hot commodities around town since few people tend to take the time to cook or bake from scratch anymore. 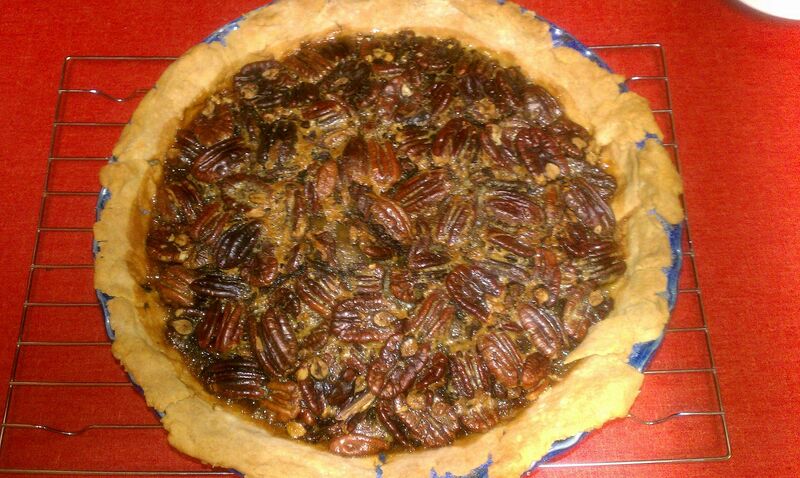 Anyway, I managed to give away two pies in two days including one made from the pecans from my sister’s trees sent to me from South Carolina. It started with an invite for people to drop by for coffee and pie–so I did manage to have a piece of each pie before they disappeared. 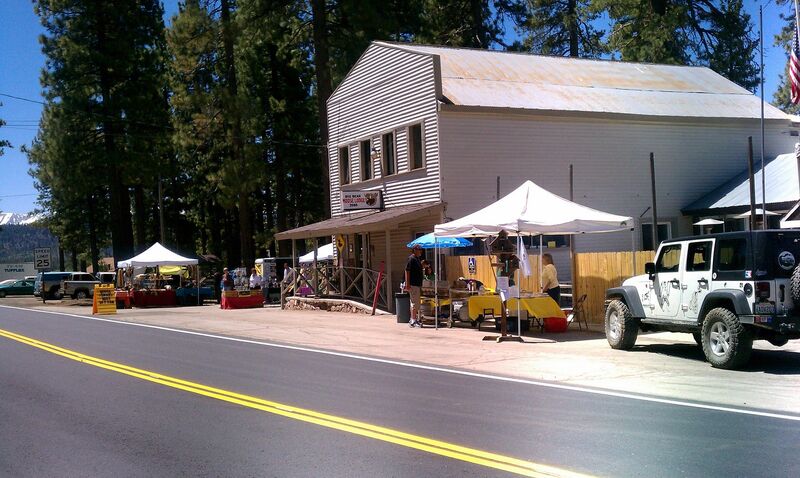 The Moose Lodge 2085 held their yard sale on Saturday and also hosted a BBQ that was open to the public until 2pm. The smell of hamburgers filled the air as people enjoyed the warmth of the summer sun in all its glory. Over on Seminole, Gene & Glenna were having a big bash and the sounds of clanking horseshoes and happy chortling carried over the lake and up the creek. Around Fawnskin, people are working on their gardens and chatting with those strolling down the lane. The update on the building down town makes it look much better. 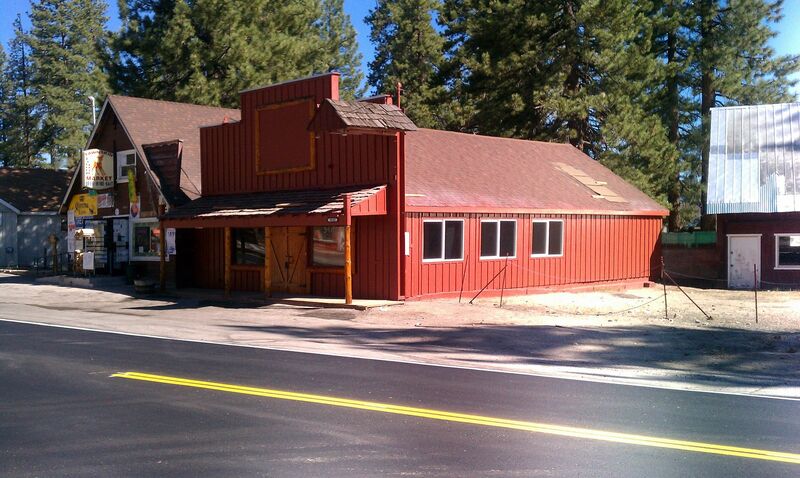 Now despite what you are thinking–all that heavy equipment behind the Fawn Lodge doesn’t indicate that there is going to be work there. Kathy assured me that it was just being used for heavy equipment storage while some work is being down in Fawnskin but not on the lodge. Bob was out prospecting with a few buddies this weekend and was sitting out in his garden when I walked by on my way to have a cup of coffee over at the Heidmillers. While further up the road I managed to have a quick loud, chat with Cliff as he worked on his garden towering up high over the road where I stood. Then, over at Steve’s, a small gathering of neighbors were out sitting in the shade of the trees catching up on news and enjoying the sounds of summer. Lakeside the abundance of kayaks and canoes really signaled that the warm weather might be here to stay. Those who made the commitment showed up at the Post Office on Sunday to work in the garden so everyone can enjoy it. Finally, a few hardy souls participated in the bike challenge over on the other side of the valley and GG got to visit with a couple of buddies who came into tow just for that. Overall, people had a great time enjoying themselves…and I even spent a little time out in the hammock. Life is good in Fawnskin–so enjoy your week! This entry was posted on Monday, June 20th, 2011 and is filed under Mountain Lake Resort, Small Town Living.